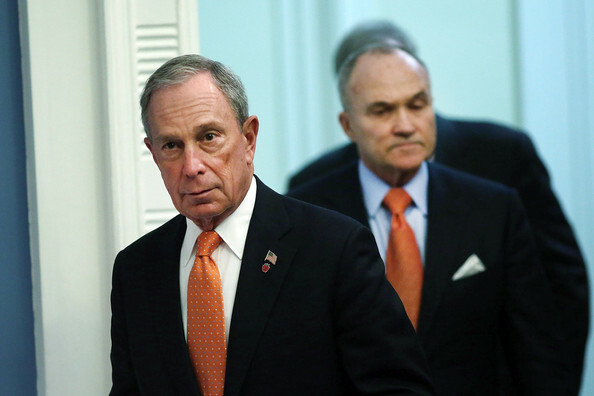 New York City Mayor Michael Bloomberg (L) and Police Commissioner Raymond Kelly enter a news conference at City Hall announcing that the two men accused of carrying out last week's bombing of the Boston Marathon planned an additional bomb attack on New York's Times Square on April 25, 2013 in New York City. In interrogations with younger brother Dzhokhar Tsarnaev, police have learned that the two had planned to take the car that they hijacked on April 18, and its driver from Boston and drive to New York with bombs. The plan was apparently foiled after the car ran low on gas and the two brothers engaged in a firefight with police.